Think rice cakes are boring? Think again! Spread them with this easy creamy peanut butter honey Greek yogurt sauce, and they become a delightful vehicle for a sunny array of yummy toppings. I love sliced strawberries and granola for a quick, on-the-go breakfast, or bananas and chocolate chips for a healthy mid-afternoon treat. Greek yogurt is packed with protein, which helps keep you full between meals and energized to take on the day! Just 6 ounces of Greek yogurt contains about 14–17 grams of protein. 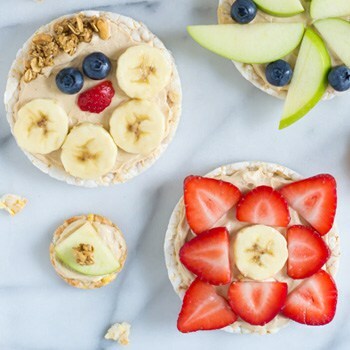 Kids of all ages will want in on a slice of these protein-packed Peanut Butter Yogurt Fruit Pizzas! In a medium bowl, briskly stir together the Greek yogurt, peanut butter and honey until well combined. Spread generously over each rice cake. Top the rice cakes with fruit, granola and any other desired toppings. Enjoy immediately. This recipe originally appeared on Well Plated. Erin Clarke is dedicated to wholesome food that tastes incredible. 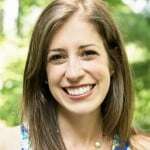 On her blog, Well Plated by Erin, she shares approachable recipes for lightened-up comfort foods, healthier baked treats, and seasonal eating. She passionately believes that family dinner can be special without being complicated and that one need not sacrifice taste to enjoy a balanced diet. 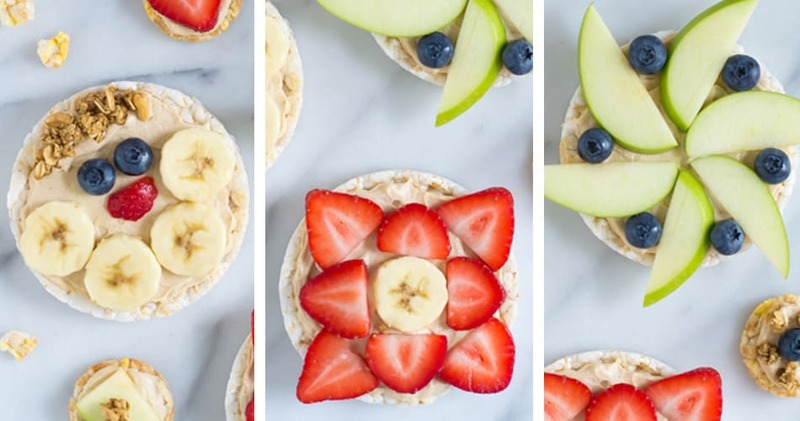 These peanut butter yogurt fruit pizzas look absolutely fantastic. Beautiful photos, too. I look forward to trying this. I am obsessed with no-bake desserts like this peanut butter yogurt fruit pizzas! Amazing yogurt that contains about 14–17 grams of protein. Definitely will cook it for my husband! Thx for sharing!